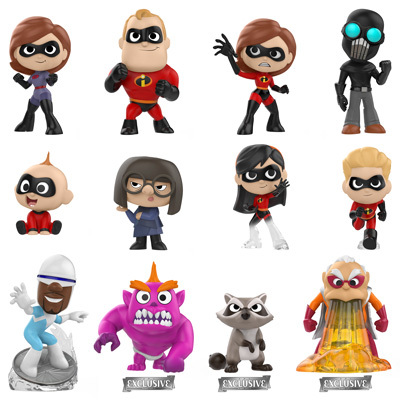 Home Merchandise Funko News New Incredibles 2 Mystery Minis Coming Soon! 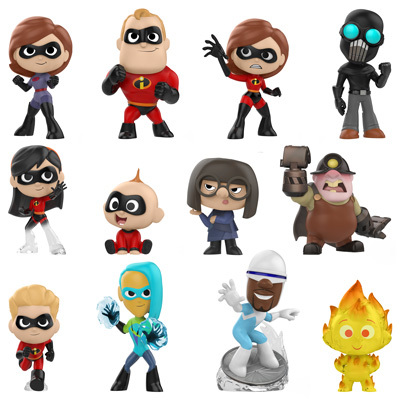 New Incredibles 2 Mystery Minis Coming Soon! Incredibles 2 looks to be a great upcoming Disney-Pixar movie and to celebrate, Funko is releasing a new set of Incredibles 2 Mystery Minis. The new series will be available at retailers very soon and are currently available for pre-order on EntertainmentEarth.com. Also, when the series is released at Target stores, there will be three exclusives, Monster Jack-Jack, Raccoon, and Reflux. Click on the link below to pre-order a case of the new Mystery Minis and look for cases with the exclusives on store shelves at Target very soon. 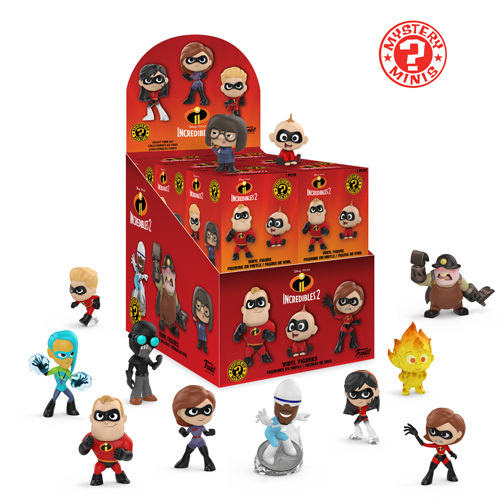 Order Incredibles 2 Mystery Minis Display Case from Entertainment Earth! Previous articleDetailed Look at the upcoming BoxLunch Exclusive Earth Day Wall-E Pop! Vinyl! Next articleNew Incredibles 2 Pop! Vinyl Collection Now Available for Pre-order!